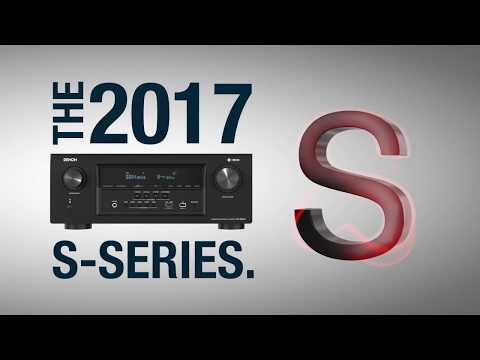 The 5.2 channel Denon AVR-S640H AV receiver features Dolby Vision™, HDR, HLG and 4K video upscaling for a stunning home theater experience. It includes 5 HDMI inputs at 4K/60 Hz with full-rate pass-through and HDCP 2.2 support on all HDMI ports. 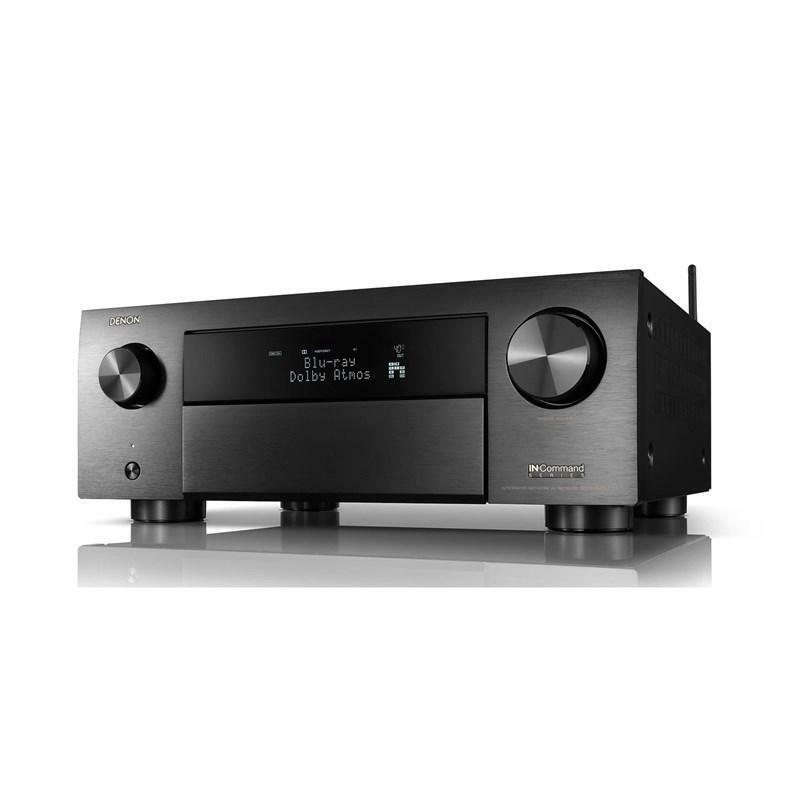 Built-in HEOS lets you stream Spotify®, Tidal and more throughout the home. 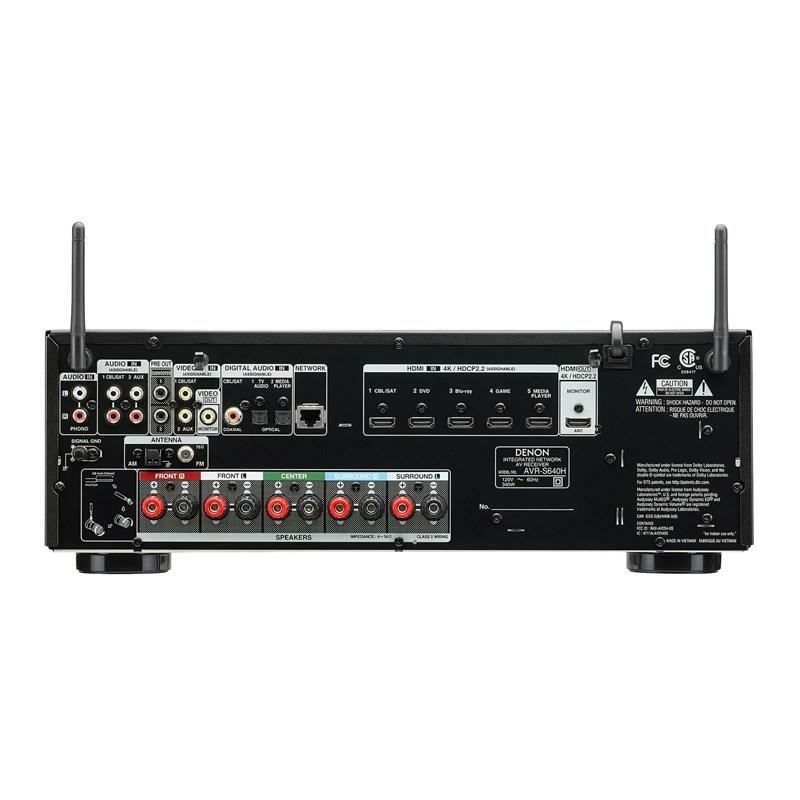 A front-panel USB offers convenient audio playback of MP3, WAV, FLAC, ALAC and DSD (2.8/5.6MHz) files. 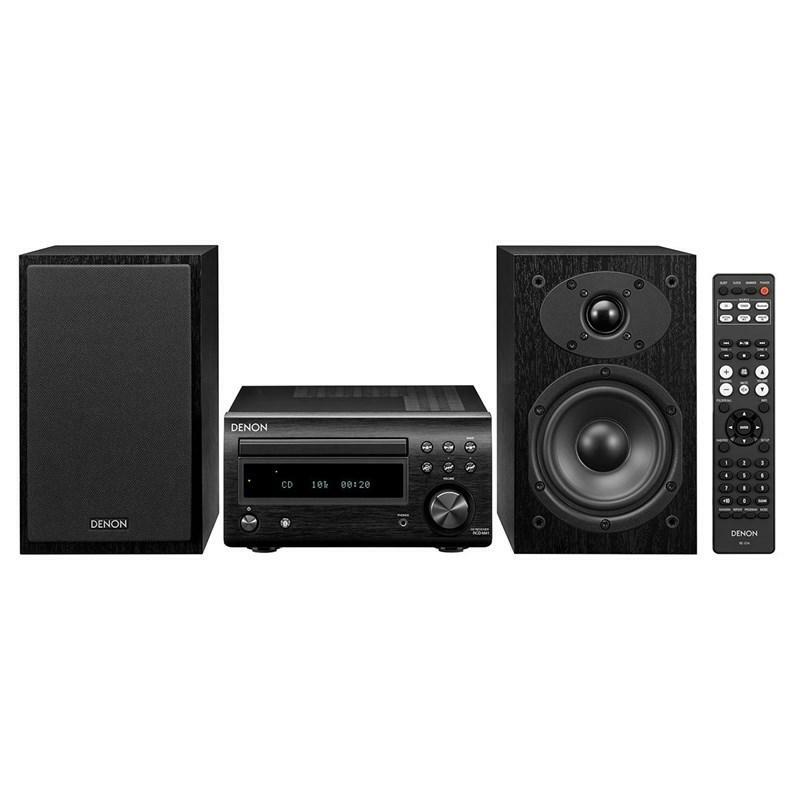 Control your AVR with Amazon Alexa voice compatibility and with Denon's award-winning Setup Assistant. 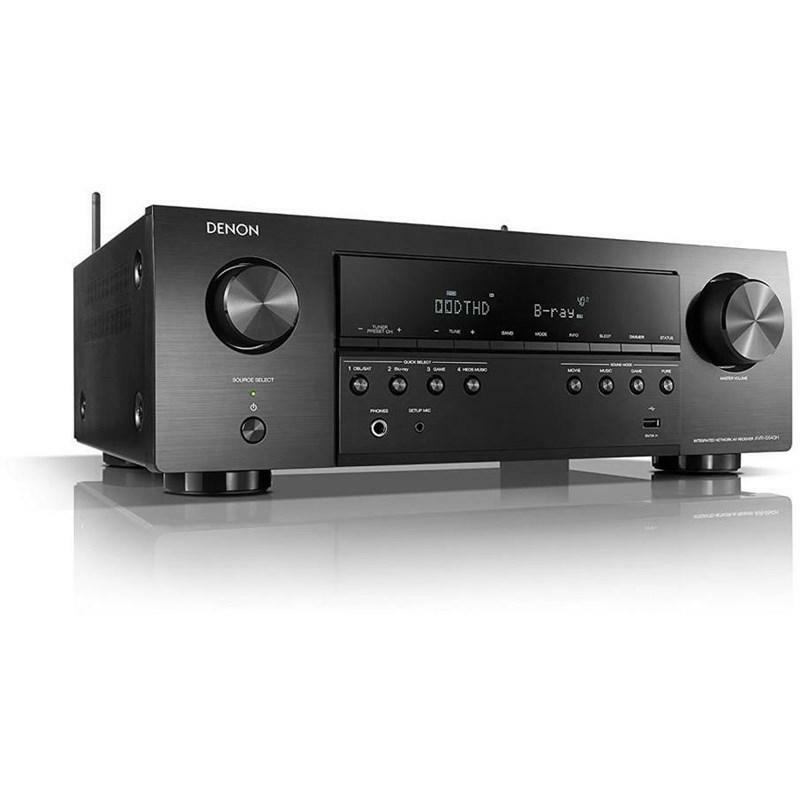 The Denon AVR-S640H is just as easy to setup as it is to enjoy. 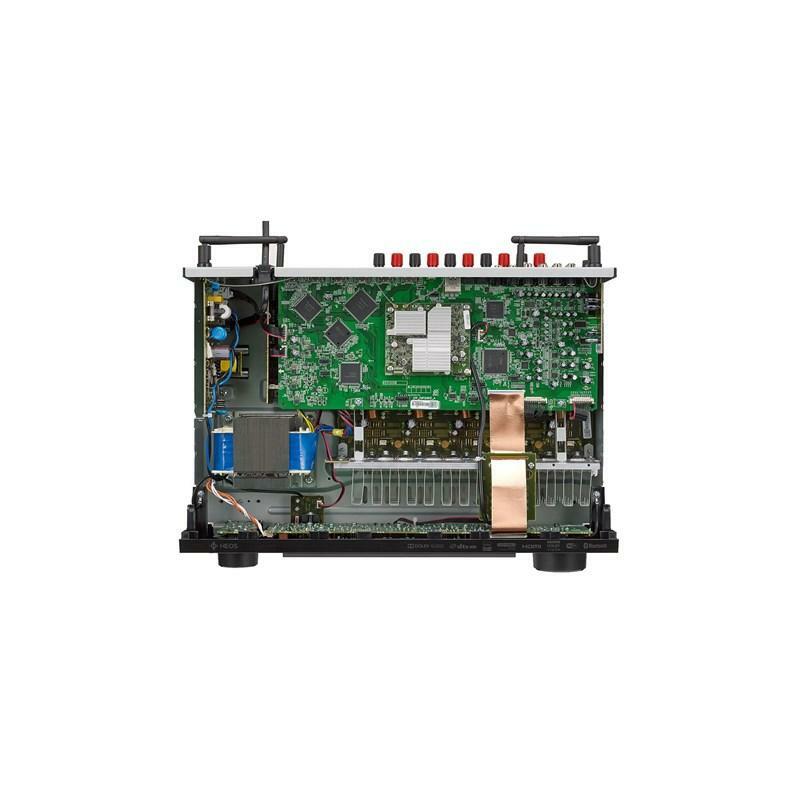 Featuring Bluetooth and Wi-Fi wireless streaming connectivity, this receiver is equipped with an advanced dual antenna system for robust and error-free streaming even in congested urban environments. Connected to the Internet through your home Wi-Fi network (or with a hard-wired connection via the RJ-45 Ethernet LAN port), it allows you to enjoy your favorite tracks from streaming music services such as Spotify Connect. You can also choose from thousands of Internet radio stations from around the world, and enjoy music and speech entertaiment of virtually every genre. AirPlay lets you play your favorite tracks wirelessly from your iPod touch, iPhone or iPad, and via network streaming you can listen to music files stored on your home PC or Mac, or NAS devices.